Now i am going to introduce you Touch sensitive security alarm. 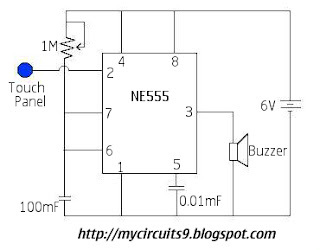 I hope as the name itself gives you a clear view about the circuit and its function. The circuit alarms whenever an unauthorised person trying to access your costlier materials. 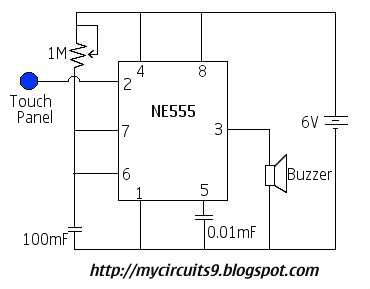 This circuit is portable, cheap, and effective. Keep the touch plate on your metal knob, door knob, gate...... Where you want to restrict the misuse. The Touch plate should be conducting.